The Environmental Protection Agency (EPA) estimates that 70% of the waste created in the United States is recyclable, meanwhile only about 30% is actually recycled. At Metropolitan Recycling, we aim to change that within the NYC metropolitan area. We collect plastic containers, glass containers, paper and cardboard products, and metal (tin, aluminum, steel) cans. Not only does recycling save landfill space, but it also uses less energy than new manufacturing and maintains our reserves of certain valuable resources such as aluminum and steel. In New York City, all businesses are required to recycle certain materials. This can be done by applying for registration from the NYC Business Integrity Commission and carting your own recyclables to a recycling facility, or by hiring a private carting company to properly handle all your business’ recyclable materials. Metropolitan Recycling is one of the largest, privately owned recycling companies in New York City. 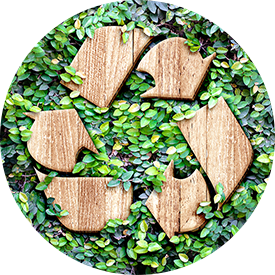 Servicing businesses in all five boroughs of New York, Long Island, and Westchester, we offer single-stream recycling, which removes the customer’s burden of having to sort recyclables. We offer several different plans to best fit your needs and budget. We also offer waste removal and organic recycling for customers who are interested in bundling their services. 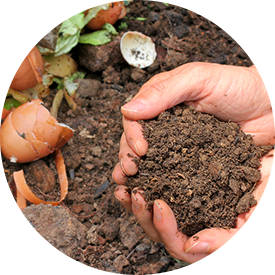 You can learn more about our waste removal and organic recycling programs below. We offer multiple non-hazardous waste removal options for our commercial and institutional customers. We’ll work with you in deciding the size of container(s) needed and the frequency of pick-ups to best suit your needs. Whether you’re looking for a large container for temporary service at a construction or cleanup site, or you’re looking for a permanent dumpster for regularly scheduled pickups, we can provide you with a reliable and cost effective solution for your waste removal needs. Businesses in New York City are obligated to responsibly dispose of their own waste. Most business owners decide to comply by hiring a private carting company to collect and dispose of it for them. Metropolitan Recycling is one of the largest, privately owned waste removal companies in New York City. Servicing businesses in all five boroughs of New York, Long Island, and Westchester, we offer collection and disposal services for all non-hazardous solid waste. There are numerous plans and options available, from the size of the dumpster provided to the regularity of pickups, we offer plans that will meet the needs and budget of all our customers. We also offer recycling and roll-off services for customers looking to bundle their services. You can learn more about our recycling and roll-off services under their respective headers on this page. The BIO-EZ food waste disposal system transforms organic waste into nutrient-rich water that can be easily flushed into the sewer system. The BIO-EZ can breakdown all food products including meat, dairy, fruits and vegetables, shells, bones, and baked goods, as well as light paper products such as paper towels, napkins, coffee filters, and paper egg cartons. When the food waste is added to the machine, it is chopped, mixed, and aerated, then the “Bio-Helper” microbe formula is added. The microorganisms then digest the food waste and convert it to water which can be flushed into the sewer system. 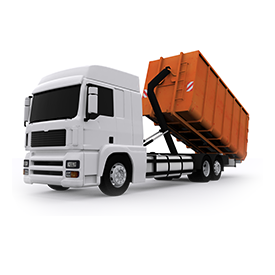 Businesses have three options for complying with these rules, they can: transport the organic waste to a treatment facility themselves, hiring a carting company to transport the organic waste to a treatment facility, or they can treat the organic waste on site. Metropolitan Recycling now offers the BIO-EZ food waste disposal system. The BIO-EZ works by combining organic waste with a patent pending microbial formula in a special processing unit. Throughout the day, the microbes digest the waste and turn it into nutrient-rich water that can then be flushed into a sanitary sewer system. Contact us today to see if the BIO-EZ would make a good fit for your business. Roll-off dumpsters are large rectangular containers that are commonly used on construction and cleanup sites. They’re used for everything from common, non-hazardous waste to building material scraps and demolition debris. We have several different size containers available. We’ll work with you to determine the pickup and drop-off schedule, whether you need daily pickups or a longer term rental, we can work with you. For long-term construction and renovation projects, Metropolitan Recycling offers roll-off dumpster services. Roll-off dumpsters are large, rectangular containers that have no lid, making it easy to fill with construction debris. 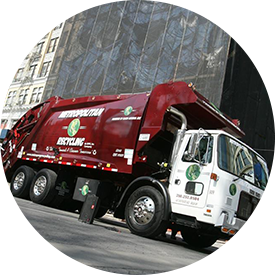 Metropolitan Recycling is one of the largest, privately owned waste and recycling carting companies in New York City. Servicing businesses in all five boroughs of New York, Long Island, and Westchester, we offer roll-off services for construction and demolition projects. We offer several plans for roll-off dumpster services featuring several different size containers and a pick-up schedule based on your needs and budget. We also offer demolition services, which you can learn more about below. "When regulatory changes were introduced by The Sanitation Department, Metropolitan held a seminar a year in advance to educate their customers." "I’m taking this opportunity to comment on and thank you and Metropolitan and your entire organization for your excellent service to Bloomingdale’s New York Flag Ship Store at 59th Street for the past more than 15 years. Your organization has given us above and beyond service, accommodations and response to our needs while providing extremely competitive costs for your services. Metropolitan has always been there for us with quick response at all hours and offering us new initiatives to improve our operation and cut costs. I want to thank you for the partnership and how much you value our relationship that I am confident we will continue to receive." "When FreshDirect had a huge equipment failure, they produced extra assets immediately in real time to solve our problems." "Not just great service but they are at the forefront of new technology in waste management, providing affordable and environmentally responsible solutions." "Metropolitan has been my Recycling Vendor for over five years. They came to help FreshDirect during Superstorm Sandy when all calls to other vendors all failed. They were not my vendor at the time and that is extraordinary."